As if losing a game with a fourth quarter collapse in Week 1 wasn’t enough, the Arizona Cardinals now may have to do without running back David Johnson for quite a while. 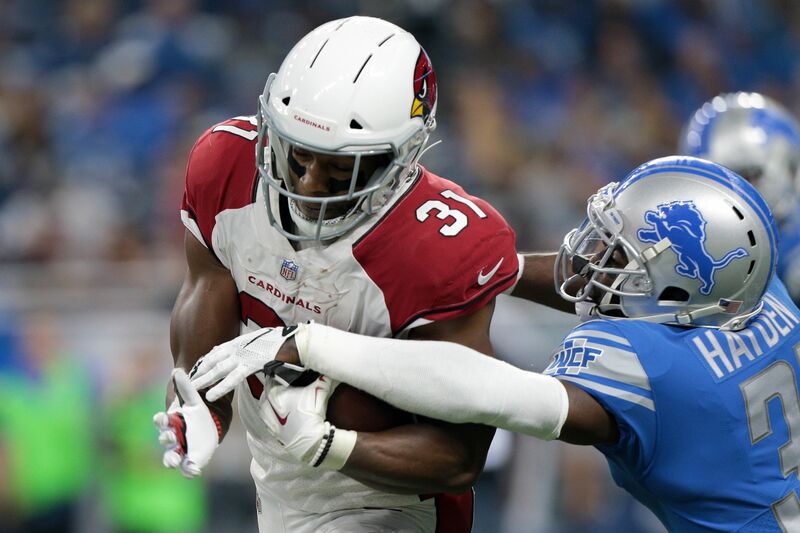 The Arizona Cardinals are 0-1 after losing to the Detroit Lions on Sunday, and running back David Johnson also suffered a wrist injury during the game. Initial x-rays were negative, but an MRI on Monday was set to reveal more about if, or more likely how long, he’ll be out. After an initial report from ESPN’s Chris Mortensen suggesting Johnson could miss as much as “half the season”, some optimism came pointing to a possibility he’d be able to play in Week 2. That return without missing a game seems to be out the window now, if It was even realistic before. Johnson has a dislocated wrist, and he will seek a second opinion before he and the team determine the next step. Cardinals RB David Johnson meeting with wrist specialists and surgery is possible, per source. Decision expected in 24-48 hours. During his Monday press conference, Cardinals’ head coach Bruce Arians offered a pessimistic parallel between Johnson to another similarly injured running back on the team. This is bad: #AZCardinals coach Bruce Arians tells reporters David Johson’s initial prognosis is the same as TJ Logan… who is out 12 weeks. Arians: David Johnson seeing second opinion to determine course for wrist injury. Same prognosis as TJ Logan right now. Logan on IR. Johnson is sure to miss at least a few games, and a wider possible timeline of 3-4 months would be in line to sideline him for the rest of the regular season. Placement on IR would cost him at least eight weeks, at which point he could return to action if the Cardinals keep that option open for him. The key question at that point will be if the Cardinals will have anything play for over the second half of the season. The Cardinals are built to win now, in what will like be the final seasons for Larry Fitzgerald and Carson Palmer. Losing Johnson dampens any possible Super Bowl aspirations this year, and any odds to make the playoffs, but the long-term view has to be maintained and if possible season-ending surgery is best it should be done.